Investing in real estate such as property rentals, house flipping or simply just buying a new house has become a very popular type of investments because of its potential of earning a profit while preserving capital without taking too much risk. While it is true that real estate investing is a low-risk high reward form of investment, there is still risk that if not managed well, it will incur losses to the investor. It pays to have prior knowledge before starting your journey towards real estate investing. Starting with the basic knowledge, there is important information you must know about real estate in general before getting started. James Kimmons has compiled the most vital real estate information for first-time investors in his article at The Balance. Check out the article below. 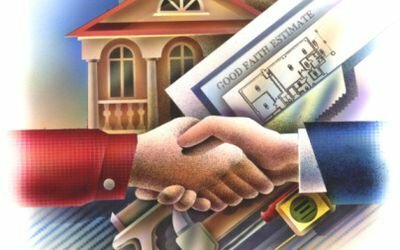 Though some people have made quick riches from real estate without much knowledge about investing, others do their homework before committing their finances to the undertaking. Real estate can be profitable when people have the knowledge to make wise investments. Consider the time it takes to find the right property in which to invest. Then, learn evaluation techniques to determine the suitability of properties for your investment portfolio. Typically, prospective investors visit the properties, research neighborhoods and pay close attention to the data provided in comparative market analyses (CMA). Finally, get the calculation tools necessary to compare properties and determine their profit potential. Cash flow is an important factor when it comes to selecting real estate investments, but there are other benefits to owning real estate that can influence the properties you choose. Typically, investors weigh the amount of profit they’ll earn from fixing up investment properties and selling them ​– known as flipping ​– versus renting them out. They also weigh their annual income against the properties’ inherent decreasing values to determine how much they owe in taxes. 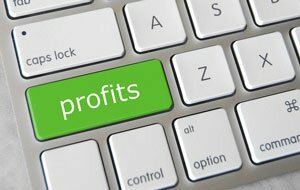 It is very important for you to know very well how to make a profit from your investments. Most investors actually weigh the amount of profit they’ll earn to the repair cost when they do house flipping. That’s why it is very crucial to fully understand the basics, for this will help you last longer in the market. After knowing the basics of the market, the next thing to learn is real estate investing. Michelle Ivy wrote a very informative article on real estate investing in FitSmallBusiness. Check them out below. Fix-and-Flips – Short-term investors who want to purchase, renovate, and sell a property. Rental Property – Long-term investors, portfolio investors, and landlords who purchase real estate with the goal of building equity. Vacation Rental Property – Investors who want to offset some of their vacation costs and build equity with rental income. Commercial Real Estate – Business owners and/or experienced investors. Experience: Most lenders will require previous experience in flipping properties. If you are new to fix-and-flip investing, hire or partner with a contractor. Time: Three or more months to devote to a fix-and-flip project; you need time to purchase, renovate, meet with contractors, monitor progress, and facilitate the sale. Funds: Enough cash or credit to cover down payment requirements. You’ll need at least 20% of a property’s after repair value (ARV) in most cases. Bargain Properties: Finding distressed properties before other investors and buying them below market value will be a key component of your success. Team of Subcontractors: You will need to build relationships with contractors and subcontractors to ensure you get the best quality for the best price. 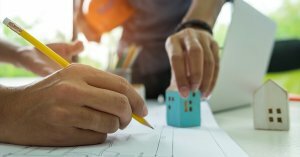 Contractors, real estate professionals, and investors who don’t mind doing minor renovations themselves may be well suited for fix-and-flip real estate investing. For more information on investing in real estate through fix-and-flips, read our guide on how to make money flipping houses. Aside from knowing the different types of real estate investing, knowing the type of investment that suits you, your cash flow, lifestyle, etc. will also be part of your decision making where you must put your money. Each type has underlying cost within them as well. Next thing you’ll need to learn is the pros and cons of investing in real estate. Jorge Vazquez of Real Estate 4 Investing identified the advantages and disadvantages of real estate investing. When you start investing, it can be difficult to understand everything you need to know to make a profit. Many types of investments rely on abstract concepts and complex algorithms, which are especially difficult to understand. Real estate, on the other hand, involves the purchase of physical property and most people are familiar with real estate to some degree. Investing in real estate can be much easier to understand than complex investments developed by mathematicians. In contrast, real estate investments are directly under your control. Though you can’t control demographic and economic changes, or acts of God, you can control many things relating to the physical property and tenants. With good management of your overall real estate portfolio, you can tangibly improve the value of your investment and build wealth. Real estate is one of the few assets that reacts proportionately to inflation. As inflation goes up, housing values and rents go up. Though real estate in general is a good hedge against inflation, rental properties that are re-leased every year are especially effective, since monthly rents can be adjusted upward in inflationary periods. For this reason alone, therefore, real estate is one of the best ways to hedge an investment portfolio against inflation. When purchasing shares of a stock, the transaction cost for the trade is very low, often just a few dollars. But when purchasing real estate, the transaction costs are considerably higher. With the current real estate market trend going in an upward trend and projection, it has become a more popular type of investment for those who are having low-risk tolerance, those who are into longer investment timeframes, and those are preparing for their retirement. Having prior knowledge about the real estate market and investing helps a lot in your decisions as to what type of investment you’re going to take. Also, once you have made your investment choice, study it carefully to avoid losing your money. Have you decided in real estate investing but in need to raise capital? You can sell your old house and raise the needed money. With that, Dependable Homebuyers can help you sell your house fast, finding the right homebuyer for your home. Visit us on https://www.dependablehomebuyers.com for more information.